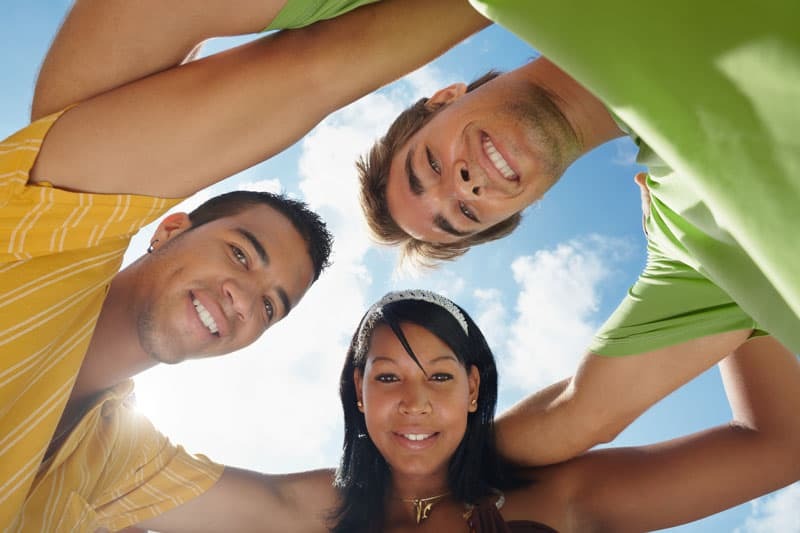 There are a number of Group Therapy experiences that are available at Perspectives. This is a 3-4 session group for females aimed at cultivating more self-love and wellbeing. Just as a tree is only as strong as its roots, we will focus on three points of connection that will help to foster a more deeply rooted relationship with ourselves and others. The Body: Our bodies are the means by which we experience the world. Therefore, we will make use of yoga and movement, along with a focus on the breath and meditation. These tools will allow us to re-connect with our body and tune in to this great warehouse of internal wisdom. The Heart: We will use the process of journaling and deep self-reflection to re-connect with our internal selves. In this manner, we will build a greater understanding of our personal life experiences and use it as a springboard for growth and transformation. Community: Opportunities to share with one another as a group will enable us to learn from, encourage, and inspire each other. We are stronger together! 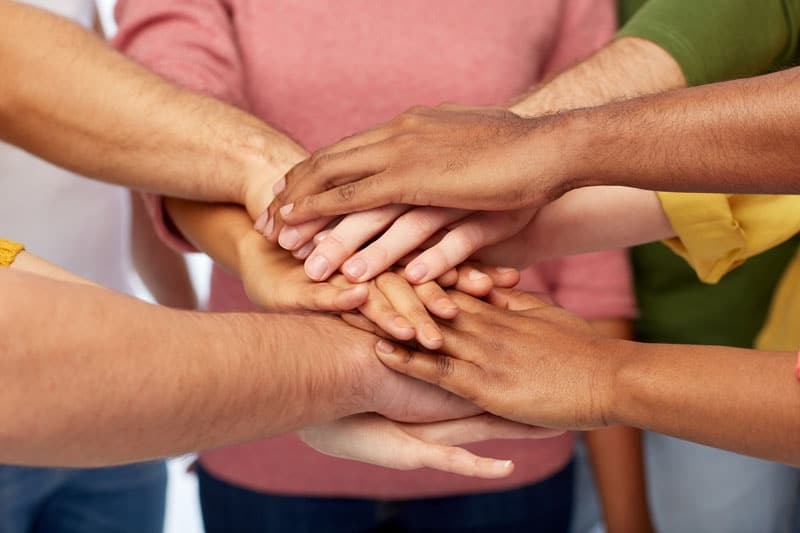 Each of these three points of connection: Body, Heart, and Community, help to provide us with a firm foundation in our lives. With this foundation, we are better able to shine our light out into the world and reach our fullest potential. You will leave each week feeling rejuvenated, more grounded, and stronger inside and out! Rooted & Rising is facilitated by Dr. Natashia Robbins. This is a group therapy experience exploring and processing anxiety. It is a 6 week commitment in which group members will learn practical coping skills for their anxiety. RESTORE is co-facilitated by Beth Kennedy, LMSW and Melissa Parrish, E-RYT. There is a yoga element to RESTORE in which Melissa leads group members in guided imagery, breath, and yoga poses. Each week within RESTORE is unique, applying creative interventions and hands on encounters. Beth utilizes Cognitive Behavioral Therapy to unearth and digest group members sources of anxiety. Beth and Melissa work seamlessly to provide a powerful, practical, and helpful group experience. Please wear comfortable clothing. We have plenty of yoga mats. If you have never tried yoga before, don’t worry, this is not advanced yoga. All information shared in RESTORE is confidential. Melissa and I are excited to redefine and revolutionize the way group therapy is experienced. Through guided imagery, traditional and non-traditional therapeutic exercises, and anxiety-reducing strategies, we will work towards restoring your mind, body and soul. “Beth and Melissa provided amazing skills to address and analyze anxiety. They were accepting and encouraging to all group members. I felt understood and less alone during these sessions and would love to do it again one day! So much terrific information about anxiety was provided! This group is all about developing and enhancing effective communication skills. The healthiest relationships don’t happen by chance. It takes effort and intention to truly match the match what message is sent and what message is received. The group setting will provide an opportunity to learn how to ask for what you need, set boundaries, and listen more effectively. You will be coached with interventions rooted in research to be helpful in identifying pitfalls as well as specific ways to connect and enhance a sense of understanding and feeling heard in your everyday relationships. This group is facilitated by Rachael Krefman-Castellon, LMSW and Rachel Sweet, LMSW. Dialectical behavior therapy (DBT) treatment is a type of psychotherapy that utilizes a cognitive-behavioral approach. DBT emphasizes the psychosocial aspects of treatment. 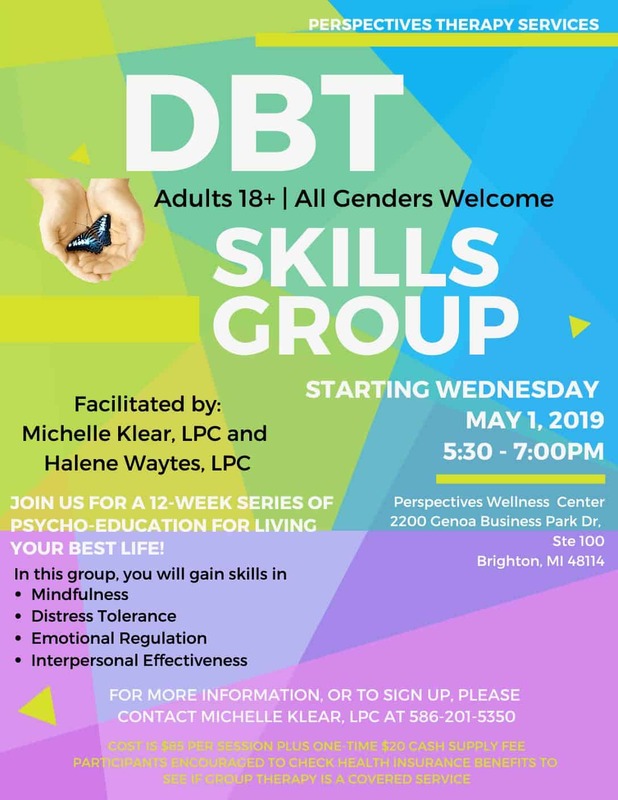 Perspectives Therapy Services is offering a supportive group therapy setting for clients to begin to utilize the DBT in their daily lives. 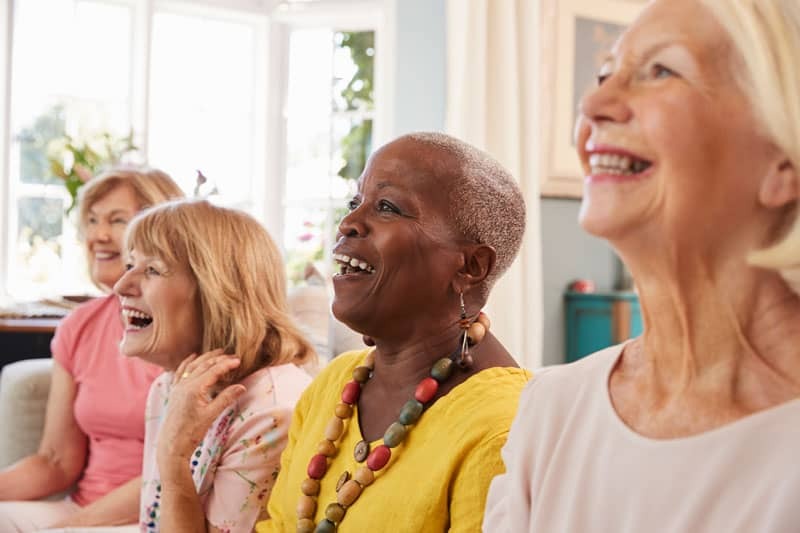 A new support group specifically designed for moms is launching at PTS through the Early Connections Institute. The group will run the first Monday of every month from 6:30-7:30pm in the group room at the PTS Brighton Clinic (Room 13). Moms need (deserve) to feel a sense of belonging and validation. This is best done in a safe space with other moms who have both strengths and struggles. Join us for an incredible experience of connecting, sharing and supporting. Our maternal support group is uniquely designed for mom’s who are experiencing symptoms of depression and anxiety. We encourage moms to attend this group without their child(ren) as it is intended to be a time of connection with other moms, without the distraction of our children’s needs over our own.